Temperatures are definitely dropping and the holidays are just around the corner. Thanksgiving is only a few weeks away! During this time of the year I start bringing out my cashmere sweaters. Cashmere sweaters are one of those pieces that I believe are a must have in your closet. They’re simple, basic, but because of the quality, it adds a very effortless chic and structured look. Oh and they feel so nice! I love how buttery soft they feel! Unfortunately, most cashmere sweaters are expensive. They’re quite the investment for a sweater. However, I discovered a few places that sell very good quality cashmere sweaters for under $100. These 6 sweaters are my top favorites and showcase the different necklines – crewneck, v-neck, or mocked neck. But these places also have them in cardigan, turtleneck, or tee style. P.S. these make a great Christmas gift! Cashmere sweaters are so luxurious! I agree that they are a total essential, and I think they're worth every penny of the splurge. Love your picks! Amazing idea for a Christmas present!! Love your picks!! Great picks! I'm a huge fan of Uniqlo sweaters and am so happy they opened in Chicago! I love the 2nd and 6th pieces! I'm loving all of these colors! Thank you for sharing! My faves are numbers 4 and 5! Great picks. A cashmere sweater is a classic. great picks! i want to wrap myself up in soft cashmere! Thanks Sabrina!! So do I! I have a cashmere sweater from Uniqlo that's fantastic, but I can't seem to find it. Maybe I need to get a new one! I love this as a gift idea! Hope you had a great weekend, Rach! 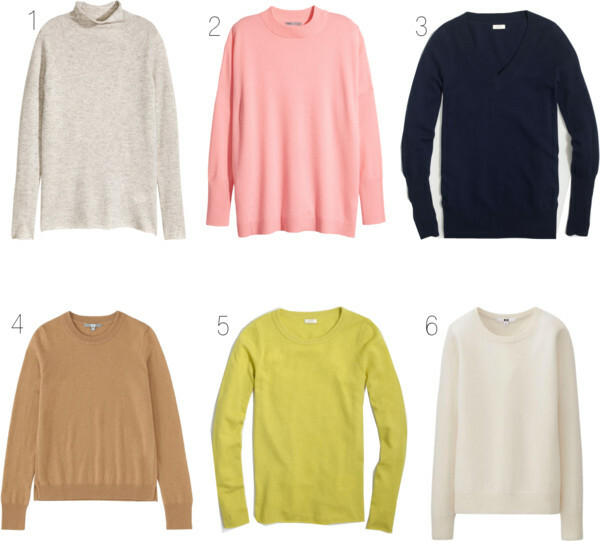 I've been wanting some cashmere… Love these picks! Great picks, you had me at affordable. I love cashmere pieces! You found very pretty sweaters at great prices! Have a nice week! loving these picks! Obsessing over these colors! We love cashmere! Great pics! Great picks, Rachel! I'm definitely eyeing that pink cashmere sweater!! Thanks so much Vanessa! I know, it is so pretty! 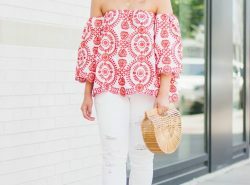 I love the white ones, they can be styled with any color and last a lifetime! These sweaters are all gorgeous picks! I've held off on buying any sweaters this season because I want to invest in some good quality ones. Thanks for all the recommendations! These are such beautiful picks…I love cashmere! Love these cashmere sweaters!! Great pieces!! I la la la love that turtleneck!